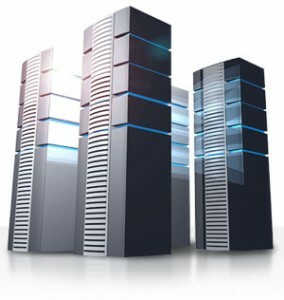 Currently there are three basic types of hosting companies, all at various levels of server performance and price. Koi Hosting offers another alternative. Minimal Private Sharing, where the resources are limited to a very few number of clients all within a common industry to take advantage of Search Engine Optimization and to maximize server performance by limiting access to qualified developers who do not write "Loaded-Code"
Koi Hosting's services meet the needs of users who maintain one or more Web sites. All of our servers include generous amounts of disk storage, data transfer, FTP accounts, e-mail boxes, sub-domains and directory pointers. You'll get secure, reliable Web hosting service on our servers with 99.9% uptime, scripting and database functionality, Web site traffic reports, all on our preferred Unix® platform. 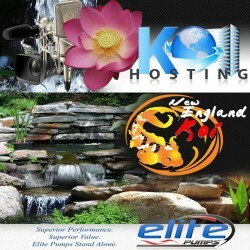 Koi Hosting is unique in the fact that not everybody can host their websites here. We reserve only so many spaces for domain names, and once that limit is met, then we will not continue to add accounts, but rather, we will add more servers. We do this to preserve the integrity of our server load, and speed. So that those sites that ARE hosted on our servers can count on optimum server performance while still keeping this high level of service affordable. We are targeting clients who want more server performance but do not need a complete server of their own. Our goal is to make superior server performance an attainable goal, without having to mortgage the farm! Minimal Private Sharing gives you the exact same server performance as having your own server, without the staff and expense of maintaining it. Minimal Private Sharing is far less expensive than maintaining your own server, while only a few pennies a day more than Shared Hosting options. Get the service and server performance of a $500.00 a month server - starting at only $14.00 a month! Offering creative web hosting solutions. We also create custom mobile apps and other marketing solutions.